I had an awesome experience at Overland Expo East last weekend at the Biltmore in Asheville, North Carolina. It was the first year the event was held in this location and also a first for me both visiting the Biltmore grounds and the Expo itself. For those that do not know about Overland Expo, it is a great event for learning about Overlanding, Offroad Equipment and Safety,and meeting vendors. 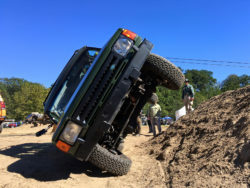 The event focuses on providing education for weekend attendees through various classes that range from trip planning, international travel to hands-on winching and safety courses. Day Passes are also available for those not attending classes and there are plenty of vendors showcasing excellent products for your next adventure. You can also leave with plenty of goodies and discounts on gear to make your next Overland or Offroad experience that much more equipped and comfortable. Overlanding is more about the destination, traveling both pavement and non-pavement, compared to Offroading which most might describe as the challenge of taking your vehicle where most cannot (with varying perceptions of difficulty). 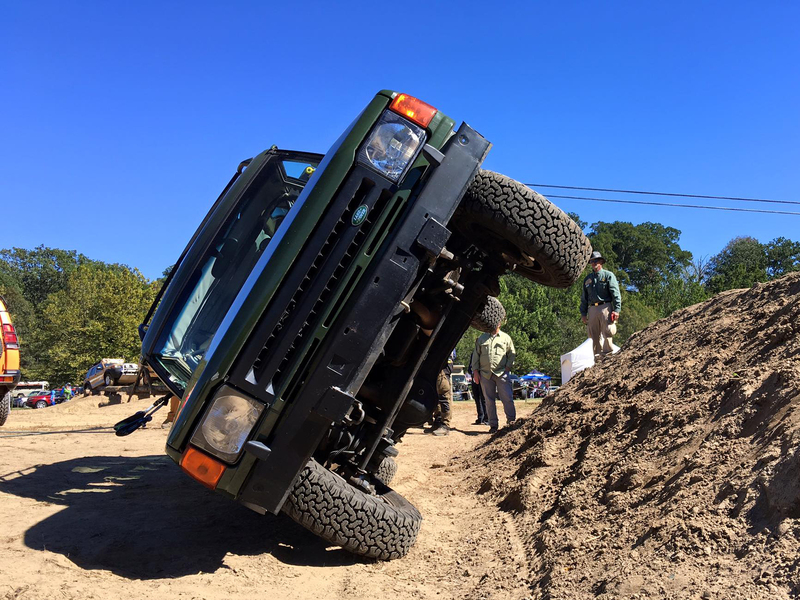 Fear not, even if rock crawling is your style you will be well entertained with hands-on instruction and the vendors who sell equipment of all types. However, I must warn you, you will quickly fall in love with the friendly and inspiring Overland community once you start hearing about the journey’s people have taken. One that comes to mind is an epic 40,000 mile through 29 countries in Africa, Europe, and Asia, during the late 1970s. 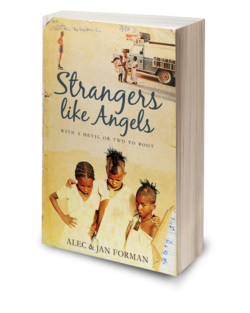 They wrote a book, Stranger’s Like Angels, about their trip and the strangers who helped them along their way. Talking with them, and others at the Expo, it occurred to me that it isn’t just the destination that makes a memorable trip but it’s who and what you meet along the way. I mentioned the Expo has classes to better educate and prepare for your travels in which I personally taught two classes myself: Trip Planning in the Digital World: Part 1 & 2©. I shared my knowledge that I’ve collected in the last few years surrounding the wealth of information on the internet just waiting to be used to plan epic adventures. As is my goal, I hope the resources I’ve collected will motivate others to build their own unique and memorable adventures. In short, it’s amazing what you can do with the right tools. As far as Offroad Trail Guide, it is clearer more than ever that as people take spectacular Overland and Offroad adventures there needs to be a way to share those trips for all to enjoy. Offroad Trail Guide has Trails and Parks but the next phase will be Overland Routes. For example I met Jon and his wife who traveled with a group through Colorado along the continental Divide. It was an 800 mile adventure which he recorded the GPS coordinates for and saved tons of pictures and waypoints. Offroad Trail Guide will be implementing a method for Jon, and others, to share these awesome journeys to share with the world. So be on the lookout for this upcoming feature! Lastly, because Overland Expo was based in North Carolina, I met many folks who were interested in trails on the East coast. As a fellow Easterner I am well acquainted with this challenge! If you are reading this on the West coast – count yourself blessed! We have all of the USFS MVUM Trails in our database but there are plenty more not listed. If we don’t have the trails in your area that’s where the the crowd sourcing comes in. I met Ned, from Virginia, who wants to do just that. He is going to help map the trails he is familiar with so others who travel through the area, such as the Shenandoah Valley, can get the same experience. Offroad Trail Guide is about helping people #FindAdventure. We have a one-of-a-kind platform for sharing resources and with your help we will the best resource for planning your next adventure so that you can get out and do more exploring.